In compliance with existing market norms and principles, we are actively involved in rendering a broad spectrum of Business Process Re-Engineering for our customers. Provided services rendered using latest technology. Apart from this, we are offering these services at very affordable prices within the assured period of time. Over the decades, AIL has gained proficiency in providing engineering services & solutions to clients to help improve their engineering efficiency, competitiveness and support their global footprints. AIL also specializes in providing engineering solutions for environmental management. Swastik Tool Room Services Pvt. Ltd.
We help our clients review their AS-IS processes and provide expertise with process re-engineering and provide TO-BE Processes. Enterprise applications implementations require both alignments of processes as well as Softwares. SAP provide provisions to configure the processes to make it close to the client business processes. 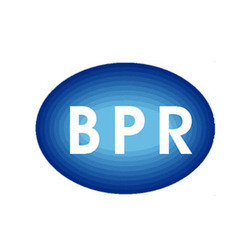 Business Process Re-engineering (BPR) to increase efficiency and effectiveness of your business. - Assisting clients in rethinking & radically designing business processes for dramatic improvements in meeting customer needs and other external strategic demands. - Analyzing various processes/ applications and recommending process modifications to enhance operational efficiency through process mapping and ABCM. Broadway take on modernization projects by taking into consideration the customer’s requirement, the market demand, feasibility of the modernization etc. - To prepare design as per certification required. At Third Eye, we help our customers in customizing and re-engineering their existing products to meet the growing demands of the markets. We provide product enhancements, upgrades and process/performance improvements thus addressing all your needs under a common umbrella. We undertake conversion of old or obsolete product designs to enhanced / state-of-art designs (16/32 bit Micro-Controllers) with value addition. Engaged in providing services such as RE & value engineering services.